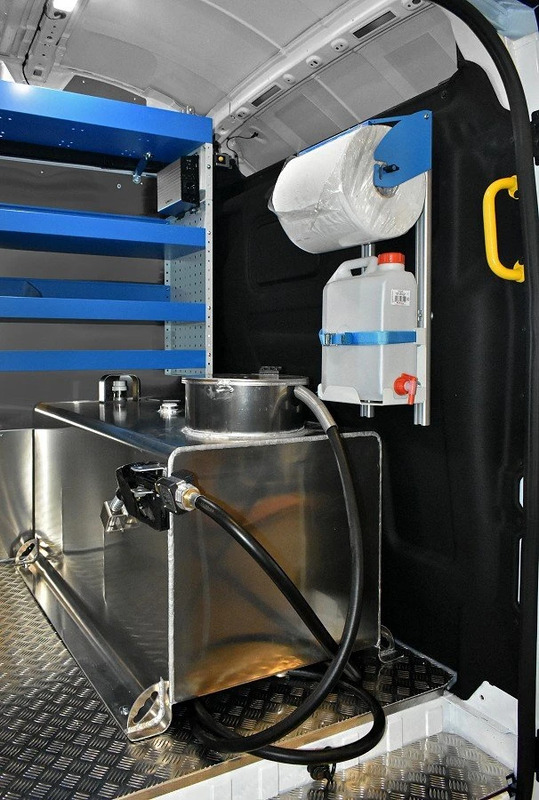 SYNCRO SYSTEM: for a professional workshop on wheels! 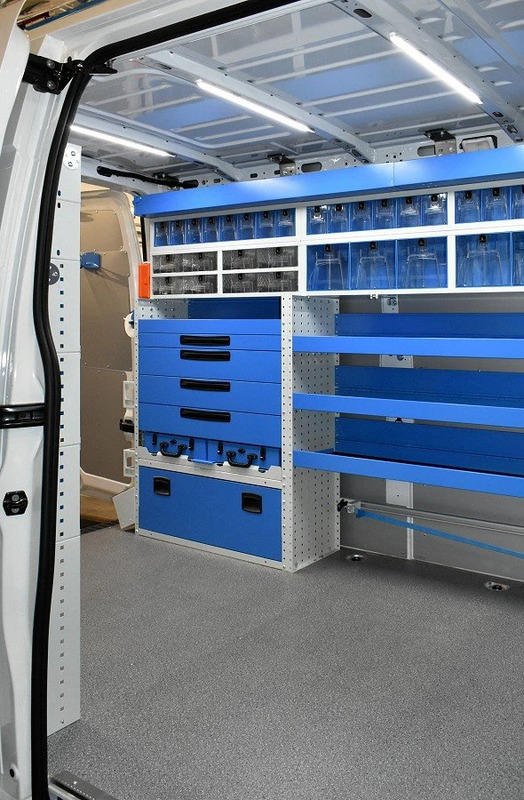 Syncro racking turns your van into a professional workshop on wheels! 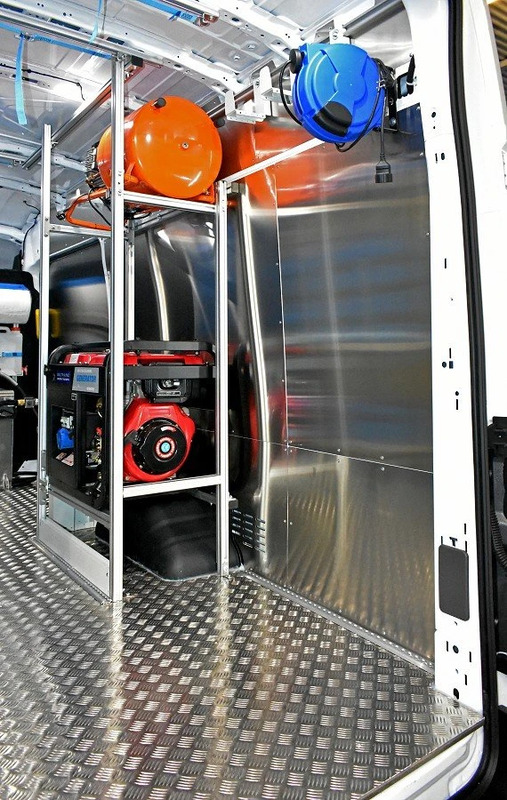 Syncro System has specialised in converting vans into efficient mobile workshops for over twenty years. 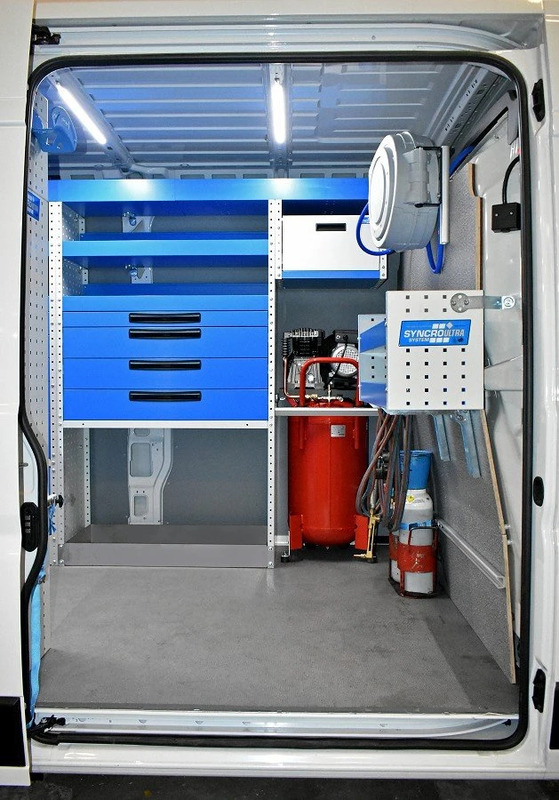 Syncro conversions have everything you need to work away from base: work benches, drawers, shelves and containers plus whatever generators, compressors, computers and tools you need for your own line of work! SAFE WORKING REQUIRES A PROFESSIONAL WORKSHOP. 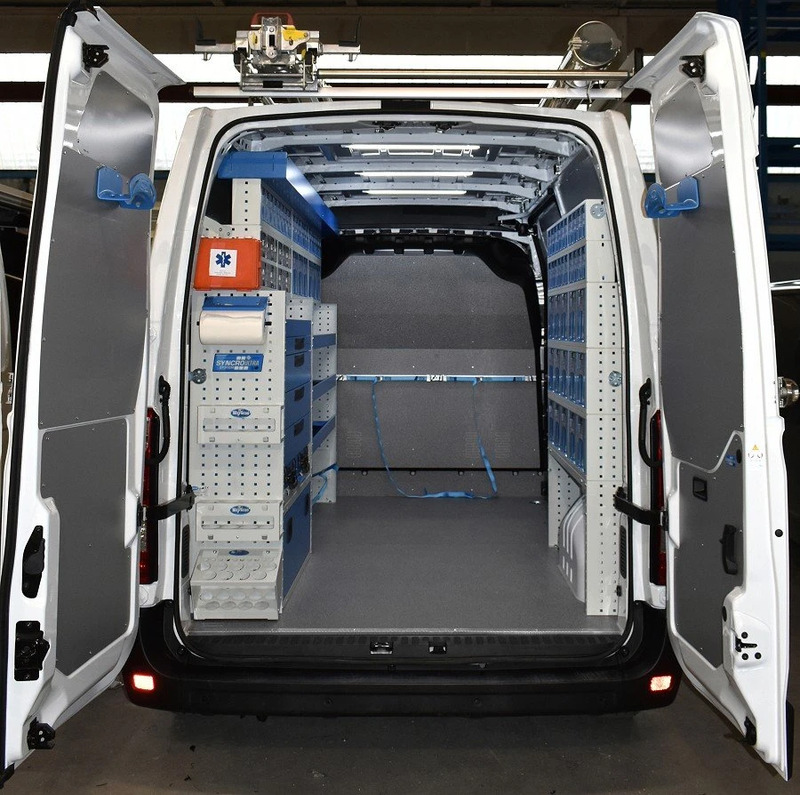 Syncro System racking keeps all your material secure during transit and is strong enough to let you work without worries. 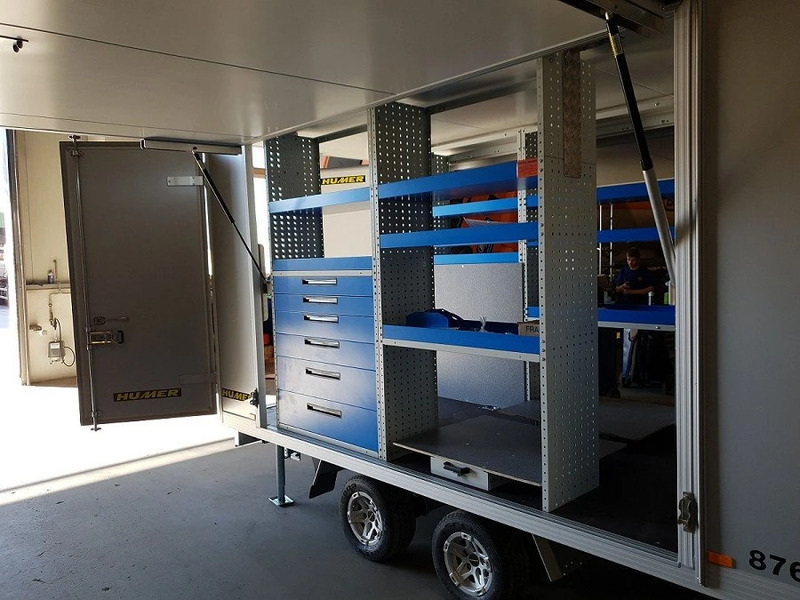 Syncro racking for mobile workshops is fully guaranteed and certified to the strictest standards. It complies with road safety regulations too. 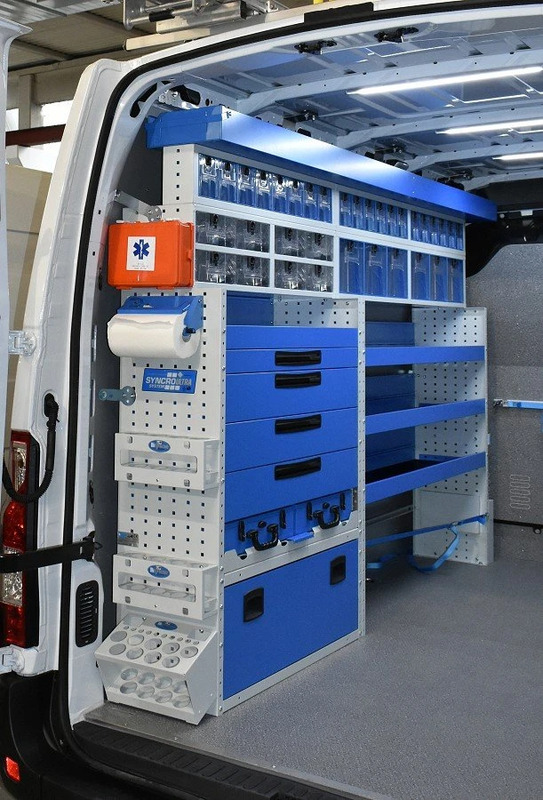 Syncro’s vast range of accessories makes your work easier than ever: lights, hooks, ventilation systems, cargo straps, first aid kits, handwash kits, computer stands, pipe trays, etc. 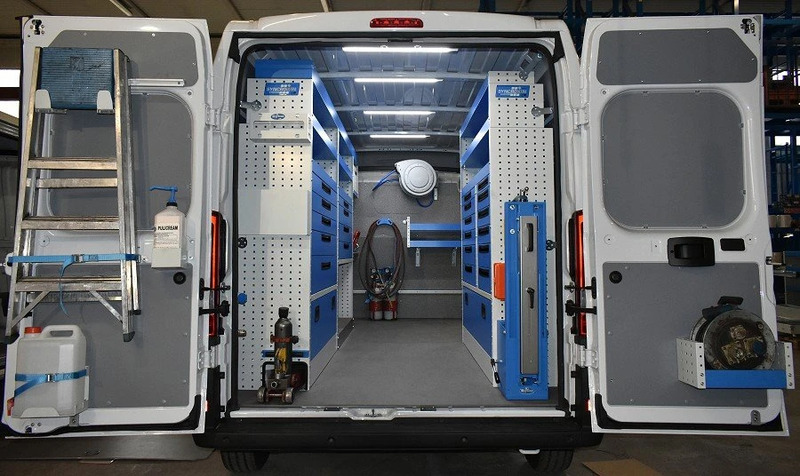 And don't forget that a tidy, well equipped van is a great advert for your professionalism! 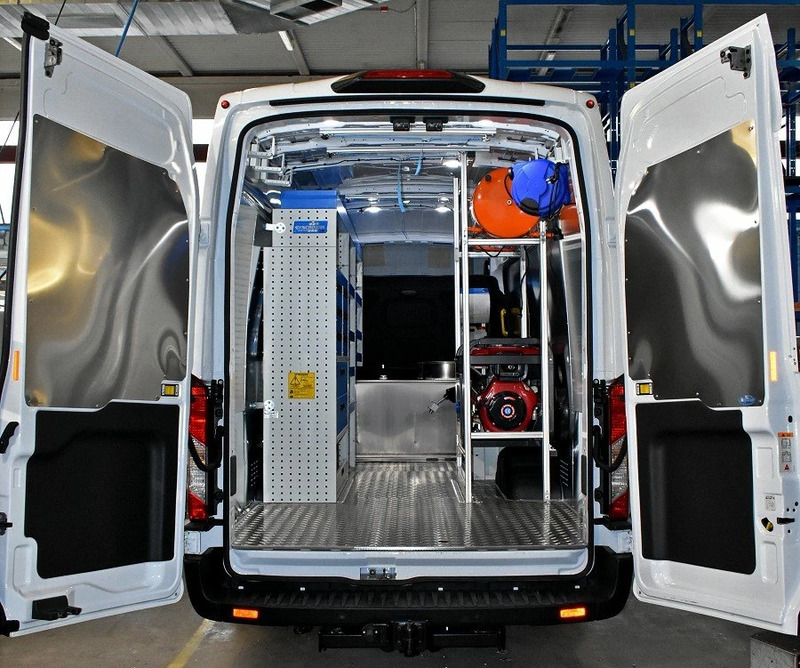 With Syncro System mobile workshops, the space in your van is exploited to the full and everything you need is instantly to hand! 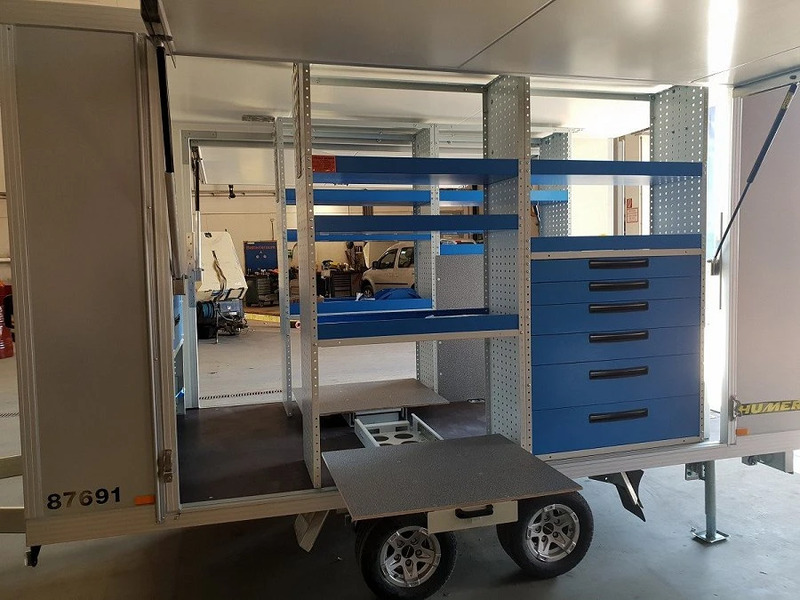 Our technical department is at your disposal to find the best way to carry all your material while also giving you the space you need to work efficiently in your van. 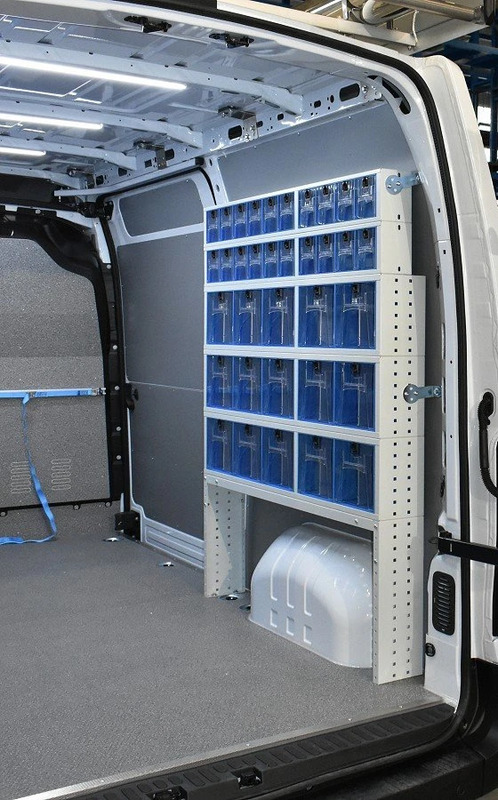 Efficient and spacious van racking! 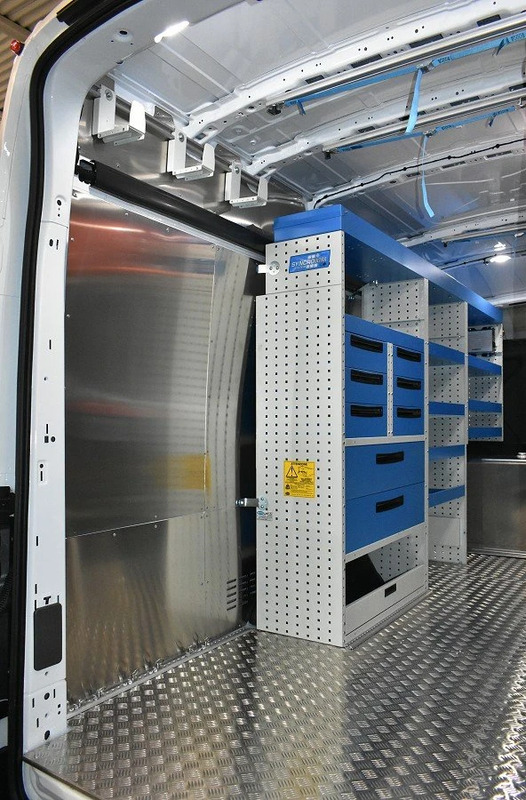 Syncro System racking is robust and long lasting, and adapts easily to all sorts of installation scenarios. 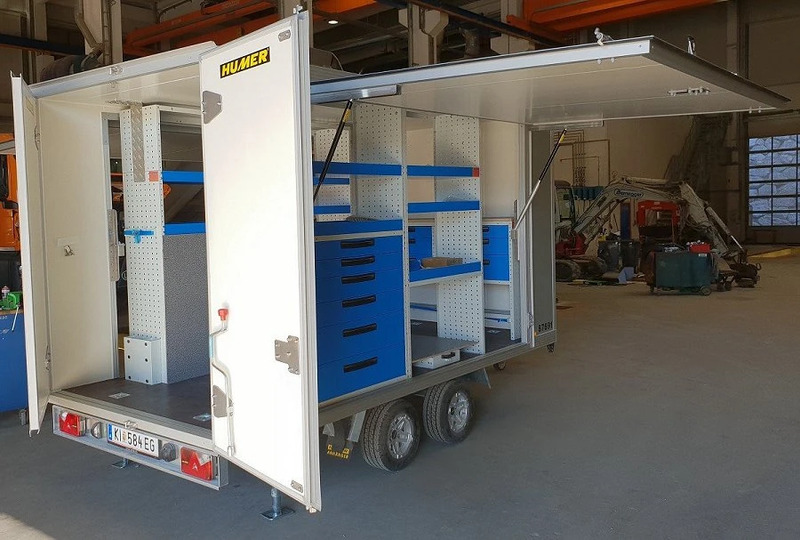 Over the years, Syncro System has installed various mobile workshops in containers and trailers. 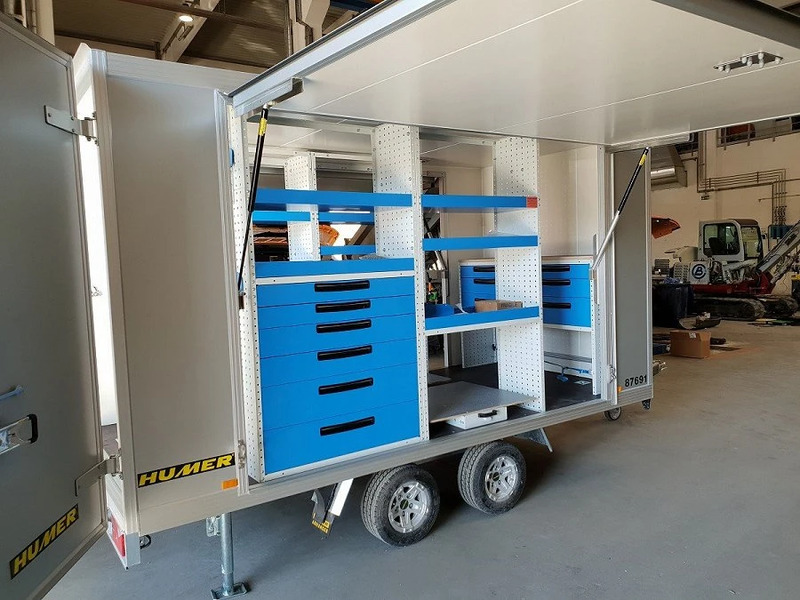 These photos illustrate a trailer converted for use as a workshop, complete with generator, work bench, metal drawers, transparent containers and various accessories. You may be able to save on vehicle insurance by getting your converted van homologated. 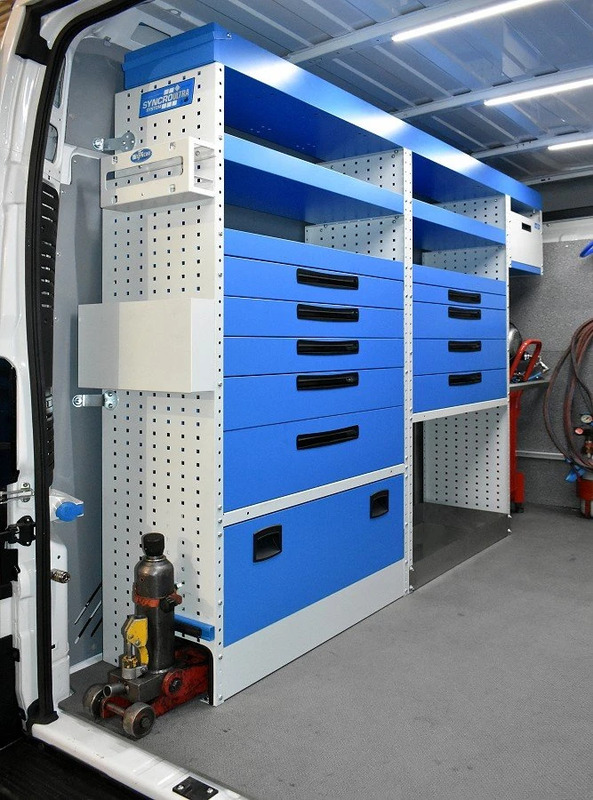 Syncro System: professional mobile workshop racking.